Bright red new growth and deep red fall color. Market appeal / Uniqueness A native plant of the Eastern part of the U.S. from VA south, its graceful, arching form and particularly long-lasting, wine-red leaves will grace a shady spot in containers or in your garden. Looking for something a little more interesting than your common boxwood or holly? 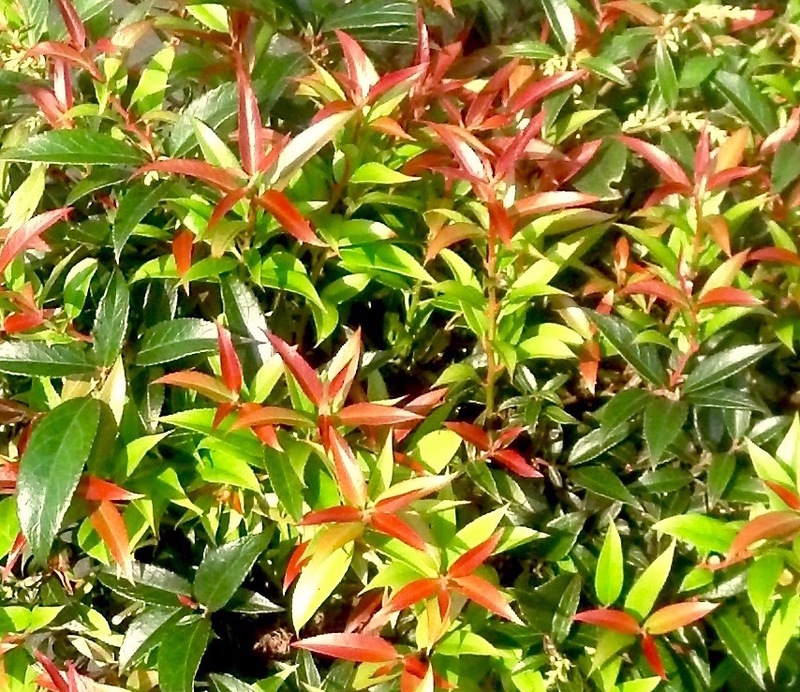 Leucothoe ‘ReJoyce’ comes with an offer of year round interest. Beginning in spring, new leaves erupt in a blaze of red over tidy green mounds. White, urn-shaped flowers form in short clusters on gently arching branches adding a graceful elegance to any setting, whether it be container plantings or your favorite garden path. A deer resistant, native, coastal plant from VA southward, ‘ReJoyce’ thrives in woodland settings or on slopes with dappled sun making soft textured ferns perfect companions. 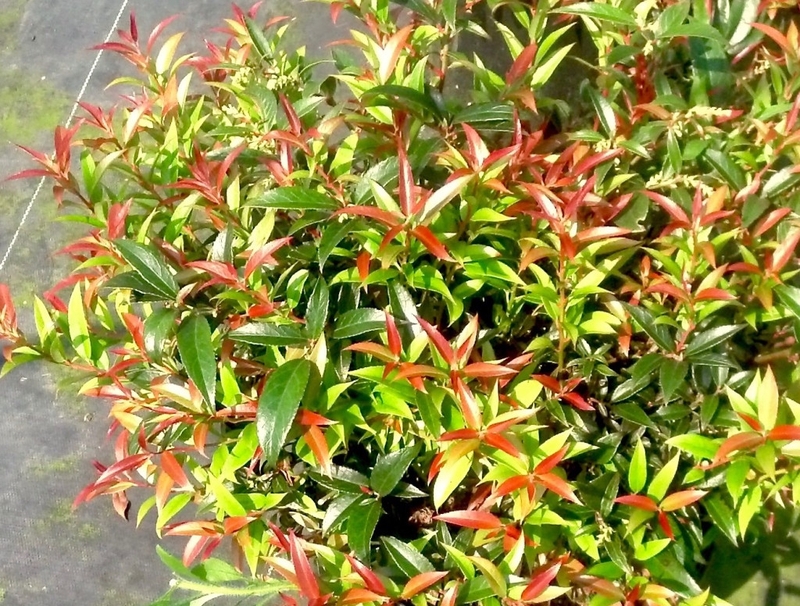 As summer begins to fade, ReJoyce ignites again with the entire plant bursting into autumn colors of reds and orange – persisting through winter. You have to admit…much more interesting than boxwood or holly! Discovered by our friend Greg Joyce, long time nurseryman and proprietor of Edgar Joyce Nursery in southern New Jersey.